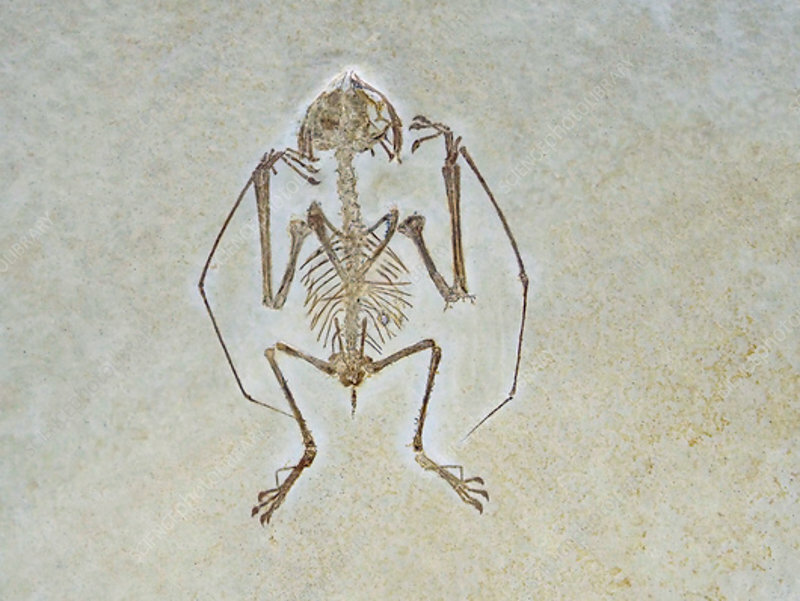 Jurassic flying reptile fossil. This small flying reptile is a specimen of Anurognathus ammoni. With a wingspan of 50 centimetres, relatively large for its size, this little reptile had an estimated weight of just 40 grams. It was thought to be very agile and was likely a twilight predator, a reptilian equivalent of today's bats. This specimen is from the Jurassic Solnhofen Lithographic Limestone found in Bavaria, Germany. The Jurassic lasted from 201 million years ago to 145 million years ago.